The Artist’s Guide to Success in the Music Business, 2nd Edition, is also available in e-book versions as a full book and by chapters for download and are available as download cards. The book is also available in audio versions by download, CD and download cards. Copyright ©2014 Loren Weisman All rights reserved. No part of this book may be reproduced, stored in a retrieval system, or transmitted by any means, electronic, mechanical, photocopying, recording, or otherwise, without written permission from the publisher. For ordering information or special discounts for bulk purchases, please contact Greenleaf Book Group LLC at PO Box 91869, Austin, TX 78709, 512.891.6100. 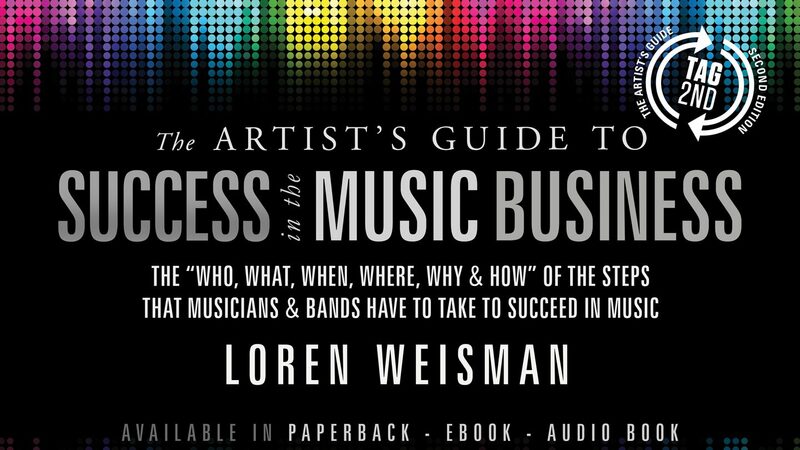 The artist’s guide to success in the music business : the “who, what, when, where, why & how” of the steps that musicians & bands have to take to succeed in music / Loren Weisman.—2nd ed., 1st Greenleaf Books ed. , Neil Gonzalez, Alan Grimes, Matthew Patin, Kris Pauls, Shannon Zuniga, Justin Branch, Angela Alwin, Madeline Meehan, Peter Fernandez, Christopher Laird Simmons, Francine Fragolini, Scott Ross, Vanessa Sommer, Mike Sinkula, Michael Manzo, Dana D. Nale, Kurt Hilborn, Elliott Randall, Scott Payne, Brian Ulery, Billy Amendola, Jim and Andrea Vidmar, Jana Pelinga, David Stoup, Phil Gent, Alicia McBarron, Andrew Larson, Peter Levy, Howard Edson, Jason Rubal, Michael McFarland, Margaret Hoelzer, Stefan Held, Swiss Chris, Hilton Hotels, Corrine Bonneau, Meghan Bonsall, Kyera Lamoureux, Elle Heinen, Steve Ceragno, Joe Kowalczyk, Cathy Corbin, Vikki Hein, Jaisen Buccellato, John Harris, Ken Robinson, Peter Kelleher, Paul Smiley, Daniel Stokes, Brandi Waite, Pam and Peter Hoagland, Rosie Caine, Kathy, Ed and Brody Powers, and everyone at Greenleaf Book Group.